It gets said a lot, and sometimes by people who know a lot about Oregon Pinot Noir. The seemingly unavoidable comparison or compliment, directed at Oregon Pinot Noir, as "Burgundian." The question ultimately becomes, "what do you mean by that?" And for different people, the comparison may have different meanings. For Willamette Valley winemakers it's something they're used to hearing and for many of them, the exact intent of the statement can be hard to pin down. For Pinot Noir grapes there is no higher calling than to grow among the select rows of the Grand Cru vineyards of Burgundy. The "New World" Pinot Noirs, whether it's California, New Zealand or Oregon will always be in some way an homage to the wine's Burgundian birthplace. But will they ever really be "Burgundian?" Jason Lett of the pioneering Eyrie Vineyards doesn't think the term means anything specific to Oregon. " To many people who grow Pinot noir, Burgundy is our Jerusalem." But Pinot Noir does not necessarily "Burgundian" make, just look at California, and even in Oregon the expressions of Pinot vary, sometimes wildly. "I think within our region, as within any, there is a wide range of stylistic interpretations of Pinot noir, some more "Burgundian" than others. "What I would like it to mean is that the wine is less about sweet fruit and more about complexity, grace and balance" says John Grochau (Grochau Cellars) "but often 'Burgundian' is a label people give to a wine that is lighter in color and weight and it is their way of telling you it isn’t their style without being negative." For many new world Pinot Noir drinkers, and those who have a soft spot for California Pinot, Oregon may indeed seem more like Oregogne. And as John points out, they may not necessarily like that. 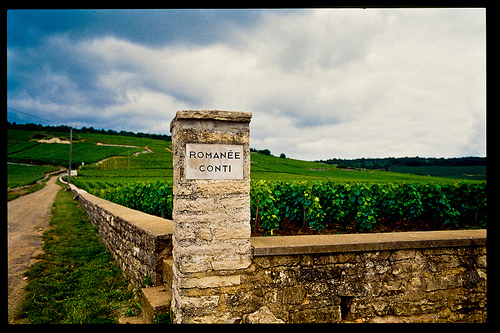 The classic traits of Pinot Noir from Burgundy hinge on what is described as "minerality." Minerality is often the term used to identify the expression of the soils that the wine is grown in. The expressions may very from "slate," and "chalky" to general terms like "stony" or "forest floor." This can be juxtaposed with Pinot Noir that is considered "fruit forward." This term connotes an emphasis on fruit based flavors and aromas, as opposed to more savory characteristics such as spices or (again) minerality. Think berries, cherries, etc. As a general rule, New World wines, those from America, Australia, and South America tend to exhibit more "fruit forward" characteristics than those from Europe. This can certainly be attributed to winemaking technique or style, as well as other things like vine age, soil type and climate. The riper the fruit gets, (in a warmer region), the more likely it is to express fruitier characteristics. "Oregon Pinots typically have more upfront fruit than Burgundy Pinot noirs in my opinion." says Stoller's Melissa Burr. "We share the presence of acidity in our Pinots with Burgundy though as both are cool climate growing regions." So is all this talk of "Burgundian" in reference to Oregon Pinot simply a comparison to a third Pinot noir region in California? That certainly seems like part of it. Comparatively one may say Oregon Pinot is closer to the mark than Cailfornia, if the mark is Burgundy in terms of color and acidity and perhaps even aroma and flavor profiles. For winemaker Rob Stuart he hears this analogy in wine production circles too. "I try to get them to tell me what they mean. And it might be that they notice for example the aroma of violets or the structure of tanning or acid that reminds them of certain producers or areas in Burgundy." One specific producer that you may hear comparisons made to in Burgundy is Dujac. Which if it's the case, consider even the most expensive Oregon Pinots a bargain as Dujac's 2010 Grand Cru wines are all a few hundred dollars(at least according to my rigorous Google research methodology). Or is "Burgundian" really just an analogy? 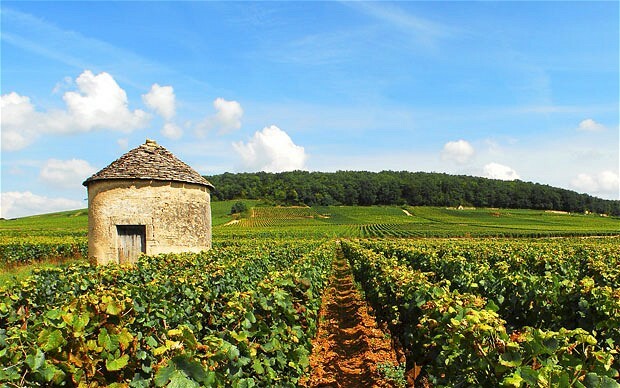 Does it mean what makes Burgundy wines so special is not that they have certain mineral emphasis, as opposed to fruit, but rather it's a purer expression of it's own special place, and not Burgundy at all. For Byron Dooley of Seven of Hearts and Luminous Hills it's about here, not so much what they do over there (in Burgundy that is). "I view "Burgundian", or old-world wine-making in general more as a methodology, one in which expression of place is prized, not as an attempt to make wines that taste like the wines of Burgundy . I don't think the later is possible, nor should be a goal. 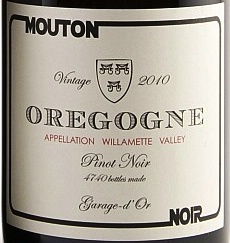 So, as a methodology, if one is making Pinot noir in a Burgundian way in Oregon, it should in fact, taste more like... Oregon." Whatever one might mean by the description it's hard not to take it as complimentary. Even on the off chance that it's not necessarily meant that way. Whether it's an emphasis on place, or terroir, or a leaning towards acidity and minerality as opposed to ripe round fruit character, the comparison places the Pinot produced in Oregon in world class company.